When using the Modbus connector of Vortex Edge Connect with the Vortex Edge Smart Gateway, you may wish to use a Modbus RTU device. The lower serial port labelled “OIO” of the Vortex Edge Smart Gateway supports both RS232 and RS485 serial modes. 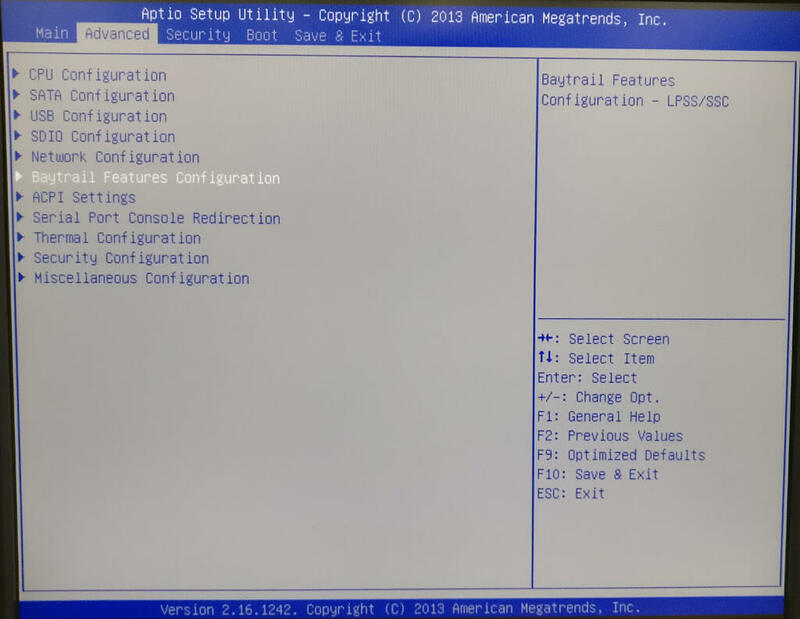 The serial mode is selected via a BIOS setting. The following steps detail the process of connecting a Modbus RTU device to the Vortex Edge Smart Gateway. Next connect your Modbus RTU device to the lower serial port of the gateway labelled “OIO”. 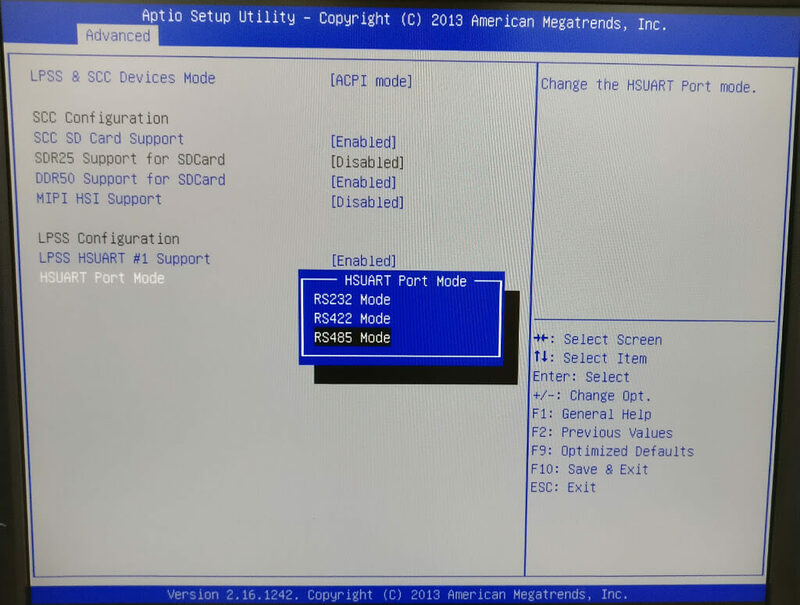 Hold the F2 key and power on the gateway to enter the BIOS. Once in the BIOS, use the right arrow key to move to the “Advanced” tab. Press the down arrow key to move to “Baytrail Features Configuration” and press enter. Next press escape and then use the right arrow key to move to the “Save & Exit” tab. Press enter on “Save Changes and Exit” and then press enter again to confirm and reboot. You should now be able to configure the Vortex Edge Connect Modbus connector to connect to your Modbus RTU device as detailed in the “Modbus Connector” section of the user guide. By default, the “OIO” serial port is accessible on /dev/ttyS4 on an installation of the Vortex Edge Smart Gateway image.